From the Amazon bestselling teen fantasy based on Greek mythology--The Gatekeeper's Saga--comes the first in a spin-off series. Readers asked for more, and here it is. Hypnos and Jen aren't married long when they realize something's missing: they both want to have a child, especially when they see how happy Therese and Than are with their twins. But the creation of new gods is against the rules, and they aren't willing to give up their immortality. So Hypnos goes to Mount Olympus to offer Zeus a deal. He'll make it his mission to find out the source of the recent attacks on Gaia--horrible earthquakes that have already released one monster from the Titan Pit--if Zeus will agree to let him and Jen have one immortal child. Because the attacks are getting humans killed and none of the other gods have been able to discover a lead, Zeus, in his desperation, agrees. But this new quest just might get Hypnos swallowed and trapped for all eternity. 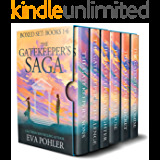 This is the first of the spin-off books in A Gatekeeper's Saga and I'm liking Eva Pohler's telling of Greek Mythology more and more. She has the Underworld as not am evil place that ever other telling has it. She gives you the sense that everyone has a great purpose which is true. This story takes you more into the lives of Hypnos and his wife Jen (Theresa friend). There are a lot of twist and turns in this story as with the others in the saga. If you are a huge fan of Mythology like a lot of are; than by all means pick up your copy of the complete first 6 books in the saga and then get started on the spin-offs as well. I truly enjoy her spin on things and can't wait to find out what happens next. All the Gods and Goddesses of Mt Olympics and The Underworld are in this story. Ive just finished HYPNOS and I didnt even realize I was at the end of the book I was so into the story. Eva Pohler brought back all the Gods and even gave us a new one, Morpheus . I love how she set the story up for the next book . I thought what Eva did with Hypnos and his siblings at the end was brilliant It gave that emotional high at the end I dont want to give it away because it was a very special moment in the stroy. But i Loved that part. This book was truly genius Eva thank you! I look forward and will be on the edge of my seat waiting for the twins and Prometheus to take us on their adventure ...this is going to be so good!!!!!!!!! I hope everyone gets a chance to read this book it really was that good. 5.0 out of 5 starsFantastic spin-off! Hypnos picks up where the 'Gatekeeper's Saga' ended. It's complete with all the same characters and a few new ones. This story, like Gatekeeper's is a battle of good vs evil. There's a traitor among the gods of Mount Olympus. This time it's up to Jen, who's struggling with her new goddess powers, to embrace her fears and help save her loved ones. Again, Eva left me hanging on every word. I absolutely love her tales of Greek mythology and how she brings the gods to life. I can't wait for the next addition! I had a blast during this book. I enjoy Eva's writing as it is both playful and deep at the same time. Feeling Jen's ideas on parenting change throughout the novel is amazing. The way she hits on heavy topics is both empowering and great. She also shows that marriages aren't always, but worth keeping together. I definitely don't trust this titan situation building up, but am very excited to read more about the twins in thr next one. A Fantastic spin off story, to the Gate Keepers Saga .Hip and Jen have a wonderful story to tell of have love evolves and becomes more. Jen find her place among the Gods and her own .confidence while on the roller coaster ride of her life. I love the story tears and all came with the love and life the couple share in there journey . 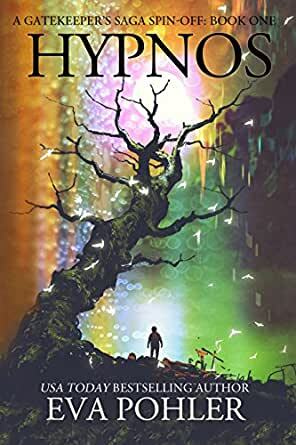 fall in love find your light and snuggle in with this book .I recommend Hypnos as a must read and the whole Gate Keepers Saga as well .